SS 321 Tubes, 321 Stainless Steel Pipes, SS UNS S32100 Pipes, ASTM A312 Stainless Steel WRN 1.4541 Seamless Pipes & Welded Tubes Supplier & Exporter in India. 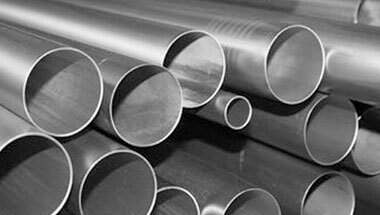 We, Neon Alloys manufacture & export wide variety and range of 321 Stainless Steel Pipes & Tubes. Type 321 is a standard austenitic 18/8 chromium nickel alloy with the addition of Titanium making it an excellent choice in elevated temperature environments. However, 321 is a much better option in operating temperature environments in excess of 5000 C and therefore have its own merits. These 321 SS pipes & tubes are smoothly processed by our highly veteran experts by using basic material according to the market prevalent norms. We manufacture in both seamless as well as welded construction. We make use of the latest machines and best technology to fabricate the pipes made available by us. These 321 SS pipes & tubes are available in various sizes, shapes as per the requirements of our clients. These 321 steel pipes & tubes are widely used in food industries, chemical industries, Electrical industries, generator industries, shaft industries, cement industries, gas industries power projects. Our product includes tubes and pipes, SS 321 Pipes, SS 321 Tubes, Stainless 321 Seamless Pipes & Tubes etc. These products are available at best possible prices which is another important feature exhibited by our products range. Stainless Steel 321 ERW Pipes, SS 321 Seamless Tubes, Steel 321 Welded Pipes, Stainless Steel 321 EFW Tubes, Stainless ASTM A213 321 Seamless Pipes Manufacturer in India. Uganda, Australia, Houston, Kuwait, Iraq, Israel, Africa, Turkey, Brazil, Ghana, New Zealand, Saudi Arabia, Tunisia, United States, Peru, Sri Lanka, London, Colombia, Iran, Nigeria, Vietnam, Democratic Republic of the Congo, South Africa, UAE, Chine, Kazakhstan, Azerbaijan, Cameroon, Jordan, Morocco, Ethiopa, Venezuela, Angola, Mexico, Canada, Sudan, Egypt, Trinidad and Tobago, Thailand (Bangkok), Argentina, Indonesia, Russia, Algeria, Mozambique, Malaysia, Germany, UK, Italy, Bahrain, Dubai. Conakry, Kolwezi, Maputo, Port Harcourt, Khartoum, Dubai, Omdurman, Dammam, Tehran, Doha, Mogadishu, Luanda, Amman, Fez, New York, Hong Kong, Ouagadougou, Kano, Casablanca, Benin, Harare, Cairo, Mbuji-Mayi, Muscat, Bulawayo, Kinshasa, Bamako, Antananarivo, Johannesburg, Alexandria, Accra, Jeddah, Abidjan, Colombo, Jerusalem, Dar es Salaam, Lubumbashi, Tripoli, Subra al-Haymah, Port Elizabeth, Lagos, Dakar, Riyadh, Maiduguri, Mecca, Kampala, Addis Ababa, Cairo, Douala, Cape Town, Bethlehem, Durban, Byblos, Tel Aviv, Brazzaville, Giza, Rabat, Data from the UN, Sharm el-Sheikh, Nairobi, Manama, Beirut, Freetown, Singapore, Istanbul, Yaoundé, Kaduna, Algiers, Lusaka, Zaria, Pretoria, Ibadan, Aqaba, Soweto, Abu Dhabi.